Open to NYU Journalism students and alumni. RSVP Required. 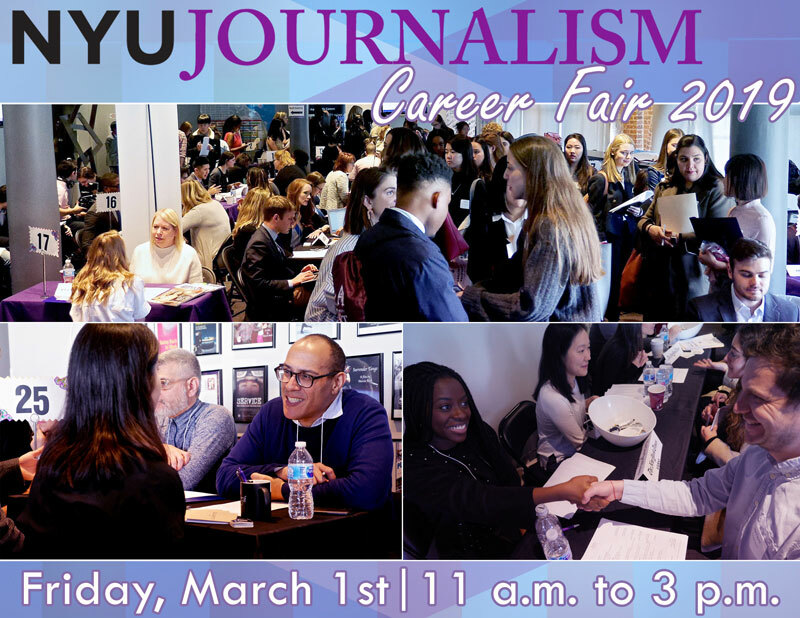 NYU Journalism Career Services hosts the 2019 Career Fair at NYU Journalism. Event is open to NYU students and alumni. Don’t miss the opportunity to meet with representatives from top media organizations to discuss jobs, internships and freelance opportunities.